Boko Haram terrorists stormed a military base in Rann, Borno State late Thursday, March 1; before killing four Nigerian soldiers, three aid workers and a UNICEF Doctor. The world body and two security sources initially said four people were killed in the attack in the remote town of Rann on Thursday evening but later revised the death toll. The terror group also abducted three aid workers (2 from ICRC clinic team and 1 from UNICEF) in addition to killing a UNICEF Doctor and two workers from the International Organization for Migration, according to SaharaReporters. The report also states that at least three soldiers were abducted and three mobile police officers attached to an internally displaced persons’ camp, were killed. Boko Haram also successfully made away with a military truck and an armored personnel carrier belonging to the Nigerian army. Rann plays host to a camp for internally displaced persons. Several humanitarian workers catering to the needs of the displaced, also operate from Rann. Boko Haram has claimed more than 20,000 lives and displaced thousands more since it commenced a war against the Nigerian State in 2009. The terrorist sect seeks to carve a hardline Islamic State from northern Nigeria. Its first leader, Mohammed Yusuf, was killed in custody of law enforcement in 2009. Abubakar Shekau who succeeded Yusuf, would turn out even more bloodthirsty. 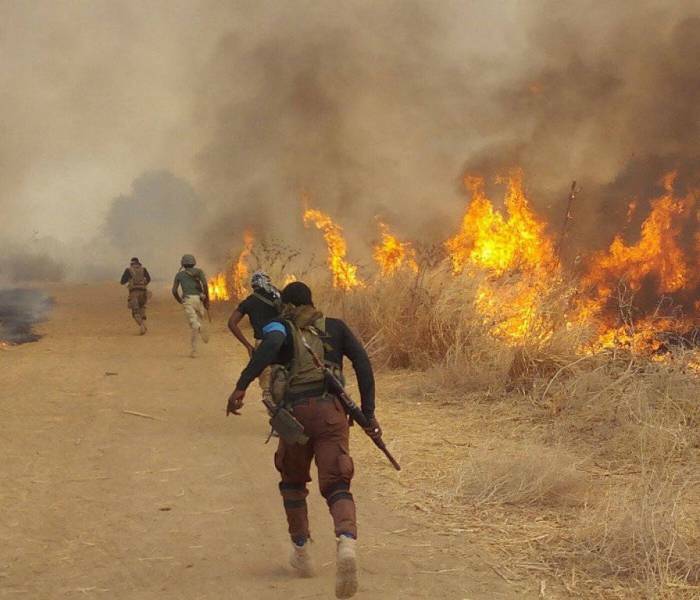 The federal government often claims that Boko Haram has been “sufficiently degraded” and “technically defeated”; although that hasn’t stopped the terrorist sect from launching soft target attacks from its base in the Sambisa forest, now and again. The group has also successfully abducted hundreds of persons and vulnerable schoolgirls.